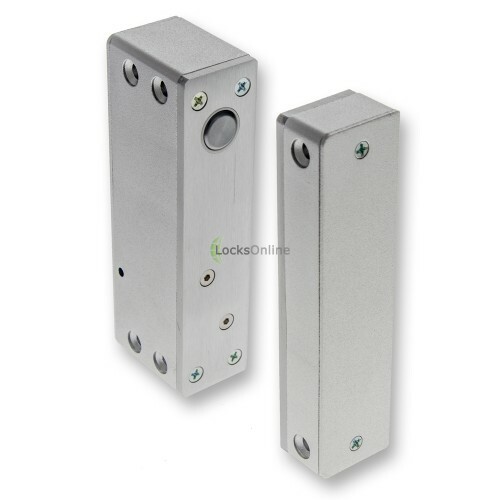 With built-in LED status indicator, this surface-mounted electronic solenoid bolt lock is designed for face-fixing to all door / frame types from wooden doors to hollow metal doors, and provides optional door monitoring outputs. The simple surface-mounted design allows for a no-fuss installation with no need to mortice out any metal or wood from the door or frame, and allows for a very quick and clean installation on a huge range of doors, not even limited to traditional doors. 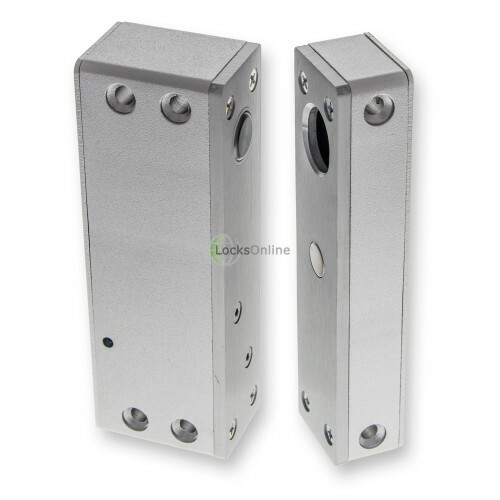 Due to the small size of these electric bolts (just 114mm x 39mm x 27mm), they would even work well bolted onto cabinets, cupboards and similar small applications. 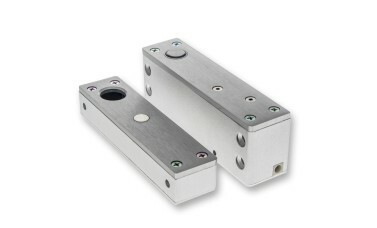 The lock operates on 12v DC as standard, and will consume between 260mA and 600mA. 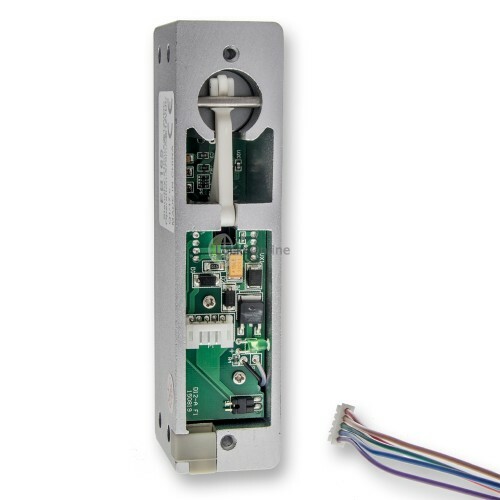 The higher end is only drawn when activating the lock, which then drops down to 260mA in 'hold mode' which draws the least possible to maintain the locked status, rather than consuming the full rated 600mA constantly when locked. 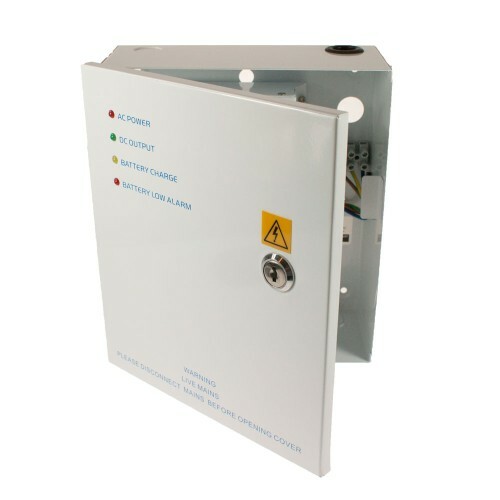 Supplied wiring includes positive (red), negative (brown), a voltage-free push-button input (green), the common terminal (blue) and lock monitoring outputs (N.C - purple / N.O - yellow). Some extra features on this lock include automatic-relocking after 6 seconds if the door is never opened after being unlocked, as well as locking time adjustments which allow you to delay the bolt throw simply by adding or removing a jumper pin (this is explained with diagrams in the fitting instructions supplied). This adjustment allows for instant (0 seconds) or a 3 second delay which can be useful for ensuring the door is firmly closed before relocking. As these are a fail-safe solution, they require power to stay locked so in the event of power failure, free access would be the result. 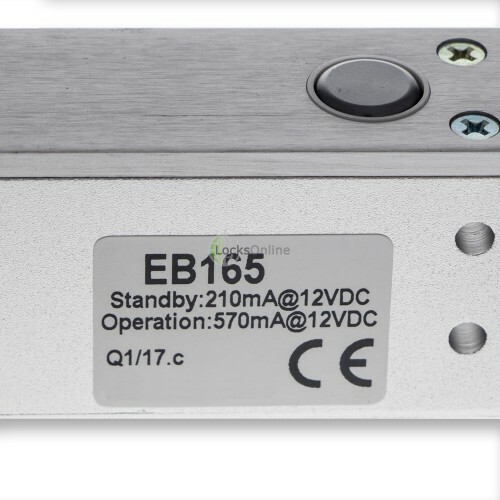 This is a vital safety measure in some applications, but for others we would always recommend a power supply unit that offers battery backup so that you can maintain the supply to the lock in the even of a general power cut. 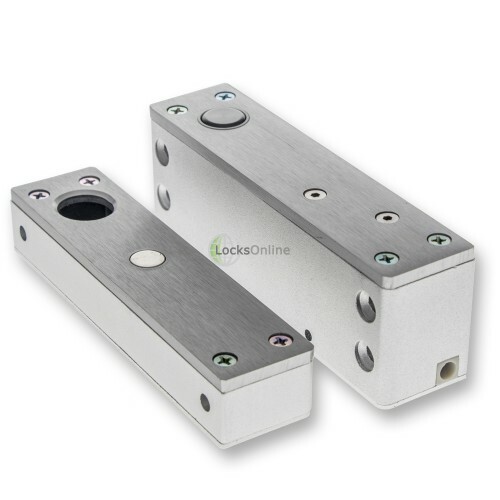 The lock is supplied with packing shims so that if your door and frame aren't well aligned, you can make adjustments with these packers to ensure that the keep and the electric lock line up perfectly so that the magnetic detection can function correctly and the bolt can shoot into the keep without any issues. 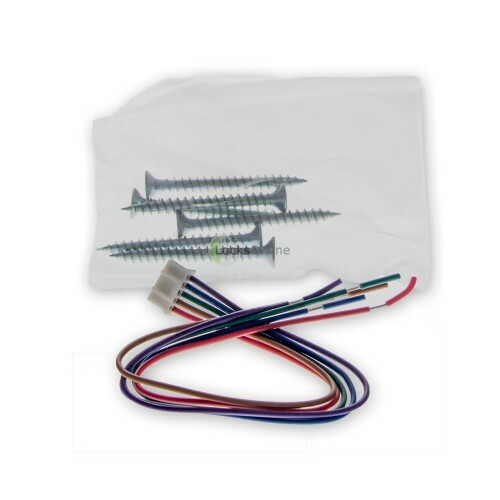 Also supplied with the lock are all the screw fixings as well as a set of cover-caps for the bolt-heads to allow for a clean installation.